A jury of 10 Norwegians found former Oslo police officer Eirik Jensen guilty of exaggerated corruption on Monday, but they acquitted him on charges of also actually being involved in smuggling drugs into Norway. Then it was up to a panel of professional judges to determine Jensen’s fate, and they tossed out his acquittal. The appeals court jury reached its verdict after six days of deliberations that followed Jensen’s latest lengthy trial. His case has been sensational in Norway, ever since he was first arrested in the basement of the Oslo Police District’s own headquarters in early 2014. 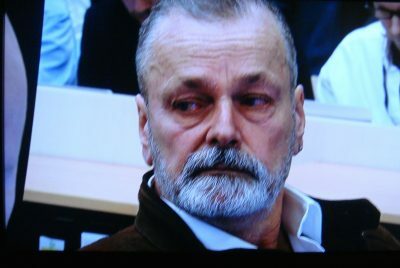 Jensen and his partner, Ragna Lise Vikre, initially appeared relieved that the jury found him innocent of drug smuggling. After giving each other a long hug, though, they also had to wait for a panel of professional judges to determine whether they would accept the jury’s decisions or opt to set them aside. It’s rare for such decisions by a defendant’s peers to be set aside, but important legal issues were also at stake. Any set-asides would have to be unanimously agreed by all three judges on the panel. In this case, they were in full agreement. Appeals Court Judge Kristel Heyerdahl ruled that the panel, in contrast to the jury, found Jensen guilty beyond a reasonable doubt of contributing towards the narcotics violations. They thus ordered that his entire case be handled once again, by a different panel of judges. It seemed to amount to a mistrial, in a case in which Jensen also has been inclined to appeal any decisions against him. He would still have faced up to 10 years in prison on the corruption charges. It was, however, the last trial in Norway in which a jury was to be involved, following a change in legal procedure. Elden added that Jensen clearly was disappointed by the judges’ decision and he later announced that Jensen would appeal the judges’ decision to set aside the jury’s decision. The appeal would be sent to Norway’s Supreme Court (Høyesterett). Jensen was long a highly trusted and high-profile investigator, only to be accused of working with the drug dealers he was supposed to be reining in. Police administrators have been criticized for failing to question or monitor some of Jensen’s unorthodox methods. Jensen had such good connections at the highest levels of the Oslo police that few have avoided getting caught up in the past several years of internal investigations and counter-investigations. Jensen, after his first major trial in the Oslo County Court, was found guilty in 2017 of both corruption and being involved in the smuggling of 13.9 million tons of hash into Norway. He was sentenced to 21 years in prison, but he appealed. Jensen’s main source of information over the years was Gjermund Cappelen, a convicted drug smuggler who also was found guilty of corruption and bringing 16.7 tons of hash into Norway. Cappelen has admitted his guilt and was sentenced to 15 years in prison, but has appealed the length of his sentence. Jensen has long denied being guilty of either corruption (accepting cash payments from Cappelen, that allegedly were used, among other things, for an expensive bathroom remodeling project at Jensen’s home) or hash smuggling, and sought acquittal on all counts. He claims his dealings with Cappelen and others tied to him were simply part of his job in infiltrating Oslo’s underworld and drug dealing.